MAGNOLIA – FOX News Channel contributors Monica Crowley and Alan Colmes disagree on almost every political issue. Representing opposite ends of the political spectrum, the duo will be the featured speakers at the 6th annual Farmers Bank and Trust Distinguished Speaker Series on Monday, Oct. 18. The event will take place at the Donald W. Reynolds Campus and Community Center at Southern Arkansas University, and proceeds benefit the scholarship endowment of the Southern Arkansas University Foundation. Crowley is a panelist on the legendary McLaughlin Group, which she joined in 2007. She is a longtime FOX News political and foreign affairs analyst, having joined the network at its inception in 1996. Her intelligent, original, and witty analysis attracted radio programmers, and she launched her radio career with a show on the number one talk station in the nation, 77 WABC in New York, in 2002. The show now airs on over 130 stations. Crowley holds two masters degrees and a Ph.D. in international affairs from Columbia University and worked as a foreign policy assistant to former President Richard Nixon from 1990 until his death in 1994. Her experience with Nixon prompted her to write to best-selling books, Nixon off the Record: His Candid Commentary on People and Politics and Nixon in Winter. After a string of successful radio shows in New York, Colmes gained a reputation as a hard-hitting liberal known for his electric commentary on the American agenda. He joined FOX News Channel in 1996 and co-hosted “Hannity and Colmes” for more than 12 years. That program became the No. 2 show in all of cable news, helping FOX achieve prime time dominance. His radio show is now syndicated by FOX News and heard on satellite radio across the country. 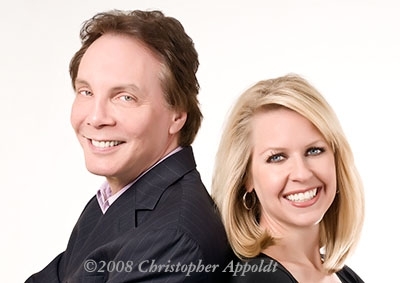 Colmes attracts many key political and pop culture figures to his microphone. Among his guests have been President Barack Obama, former President Bill Clinton, former Vice Presdient Al Gore, Lynn Chaney, former Pakistani President Pervez Musharraf, Secretary of State Hillary Clinton, and others. His likeability, humor, command of the issues, and appeal to both sides of the political plate have helped him garner the biggest audience of any liberal radio broadcaster. “We strive each year to provide a program that is both entertaining and informative and that also presents current issues of national significance,” said Bob Burns, chairman and CEO of Farmers Bank and Trust. The Farmers Bank and Trust Distinguished Speaker Series was established in 2005 to benefit students of Southern Arkansas University through a scholarship endowment with the Southern Arkansas University Foundation. 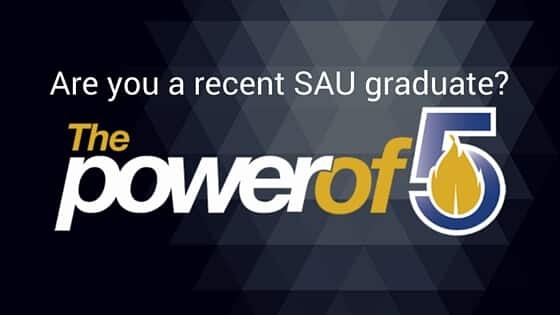 In fulfilling its mission, the series brings speakers of national and international prominence to the SAU campus, providing a memorable experience and enhancing the visibility of the University. Former speakers have included Steve Ford, Oliver North, Michael Reagan, James Carville, and former Israeli Prime Minister Ehud Olmert. For more information or to obtain tickets for the event, contact the SAU Foundation at (870) 235-4078.